Roulette presents A Dance That Empties, a newly commissioned long-form composition from tenor saxophonist Travis Laplante. The evening will also feature Laplante’s saxophone quartet Battle Trance performing the album-length composition Blade of Love. Released on New Amsterdam Records/NNA Tapes in August 2016 to wide critical acclaim, Blade of Love was included on best-of-2016 lists from Rolling Stone, NPR, Stereogum, Bandcamp, and more. A Dance That Empties creates intense rhythmic and melodic repetitive cycles as a means to slowly open the listener’s ears and heart over the course of the composition. The cyclic aspect of the piece is inspired by the sacred origin of dance and its connection of humans to the Earth. The follow-up to Battle Trance’s widely acclaimed debut Palace of Wind (2014), Blade of Love is an elemental composition that aims to fulfill the tenor saxophone’s expansive potential as an ensemble instrument. Working within the intimate intersection of the human body/breath and the saxophone, Blade of Love is a spiritual and enigmatic work with a deep emotional resonance. Travis Laplante is a saxophonist, composer, and qigong healer living in Brooklyn and southern Vermont. In addition to his work with Battle Trance, Laplante is known for his solo saxophone work and his longstanding ensemble Little Women. He has recently performed and/or recorded with Trevor Dunn, Ches Smith, Peter Evans, So Percussion, Gerald Cleaver, Michael Formanek, Buke and Gase, Darius Jones, Matt Maneri, and Matt Mitchell, among others. His focus in recent years, under the tutelage of Laura Stelmok, has been on Taoist alchemical medicine and the cultivation of the heart. The flurry of saxophones known as Battle Trance is a tour de force of intense focus and unending breath. 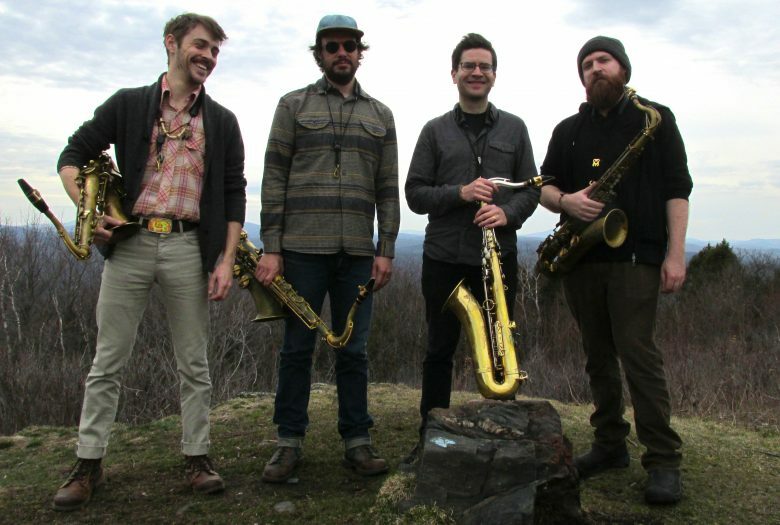 Comprised of tenor saxophonists Travis Laplante, Matthew Nelson, Jeremy Viner, and Patrick Breiner, the quartet uses circular breathing and immense physical stamina to produce hypnotic and meditative sounds. In pursuit of a music that is both modern and timeless, the group strives to create a “portal of resonance” where there is no separation between the listener and the sound. Travis LaPlante: A Dance That Empties is made possible, in part, by the Jerome Foundation.